I am the policy lead for hate crime at the National Police Chief’s Council and I recently wrote out to communities to try to reassure citizens that the police were taking the above letters seriously and were working with partners and Chief Officers to ensure safety in our communities. Our criminal investigation has been continuing since I last wrote out on 26th March, 2018. 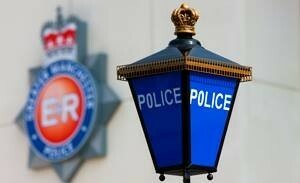 Officers from Counter Terrorism Policing North East (CTP NE) have today, Thursday June 14, charged a 35 year old man from Lincoln in connection with an ongoing investigation into offensive communications. • Soliciting to murder, contrary to section 4 Offences Against the Persons Act 1861. • Sending a substance with the intention of inducing in a person a belief that it is likely to contain a noxious substance and thereby endanger human life or create a serious risk to human health, contrary to section 114 Anti-Terrorism, Crime and Security Act 2001 ( 5 counts over varying time periods). • Sending a number of letters conveying a threat intending to cause the recipient of the letter distress or anxiety, contrary to section 1 of the Malicious Communications Act 1998 (5 counts over varying time periods). He will appear before Westminster Magistrates Court tomorrow, Friday June 15. We remain grateful for the discretion and support we have had from victims as we try to minimise any further impact of any offensive communications. Now that someone has been charged, we request that people are mindful of anything they post online to avoid comprising the prosecution process in any way. As court proceedings are now active we are unable to discuss the case further at this time. 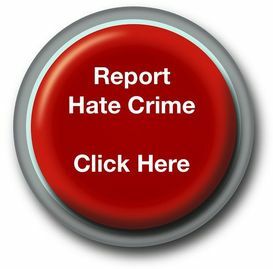 I would encourage anyone who is a victim of hate crime to report it to the police on 101 or online through our True Vision website at www.report-it.org.uk.